I just heard that CEO Rod Humble is stepping down. I guess you guys will be looking for a new chief? I’d like to suggest some questions to ask yourselves as you decide the future direction of the company. Now, you might think that I’m no fan of Second Life, writing as I do about OpenSim all the time. But I’m actually a huge fan. I created my Second Life avatar in 2005, and was inspired by its founding vision of a three-dimensional, immersive metaverse. I don’t want Second Life to fail. Is Second Life a platform or a social game? For many people, the promise of Second Life was as a platform, a stepping stone to the metaverse, a technological embodiment of Neal Stephenson’s visionary novel Snow Crash. There was the release of its viewer code as open source in 2007. That famed teleport between OpenSim and Second Life back in 2008. The release of Second Life Enterprise in 2009. For a while, it seemed that the Second Life grid would be just one piece of a large, interconnected metaverse. It seemed that Second Life was doubling down on being a social game. Features were rolled out that enhanced the player experience and strengthened Linden Lab as a game company but turned its back on the broader metaverse. Obviously, creating a platform is much more difficult than creating a game. There is usually only one successful platform, but there can be any number of successful games. Being a platform requires almost universal adoption, while building a profitable game just requires enough users to break even. Platforms typically have a longer lifespan than individual products. Platforms aren’t dependent on the success or failure of any one product. Platform creators have a wide variety of ways to make money from their platforms, and, as new products evolve, so do new revenue streams. With a successful platform for the metaverse, Linden Lab can help create the future, instead of just being a footnote on the road to the metaverse. Does Second Life have the right business model? Today, Second Life primarily makes its money from sales of land, premium memberships, and virtual currency. Land revenues are estimated to be about two-thirds of the total, and are dropping by around $1,000 per day. Second Life land is currently significantly overpriced — comparable land on OpenSim goes for about a tenth the price, without steep setup fees. It seems that today, Second Life is desperately trying to hang on to a shrinking share of the pie. It could, instead — and I realize that I’m stretching the pie metaphor to its limit here — reposition itself to grab an entire horizontal layer of the pie, such as the buttery crust of metaverse infrastructure, and benefit from the growth of the pie as a whole. Redefining Linden Lab as a platform for virtual environments would open up the business possibilities dramatically. Plus, it would position Linden Lab better for the new age of immersive environments that is being ushered in by the Oculus Rift and similar devices — instead of being just another Oculus Rift game among many, Second Life could become a platform for all social, educational, business and other non-gaming uses of virtual environments. Some revenue possibilities that emerge from seeing yourself as a platform. Keep in mind that these will be small at the beginning, and may even cut into existing revenues. But existing revenues are falling anyway, so a bold move to embrace the future before the future crushes you might be just what’s needed. Linden Lab doesn’t have to sell only Second Life land, it can sell OpenSim land as well, and offer customers low, low prices. Sure, there are already OpenSim vendors offering dirt-cheap rates, but have neither the brand-name recognition nor the scale of Linden Lab. Larger enterprises, in particular, like to do business with larger vendors. And Linden Lab doesn’t have to be the only company to sell Second Life land. I’m not talking about in-world land barons here, but actual third-party hosting companies. A revamped, more functional, and lower-priced Second Life Enterprise server could become a proprietary, supported alternative to OpenSim, the way the Windows Server is a more expensive, proprietary alternative to Apache. The Lindens will need to add OAR and IAR support and hypergrid connectivity to make it comparable, and offer sweetheart deals to hosting companies to get them to offer it as an alternative to OpenSim. Many hosting companies already support multiple servers — OpenSim, AuroraSim, RealXtend — depending what their customers prefer. A premium Linden server option may appeal to some high-end customers. 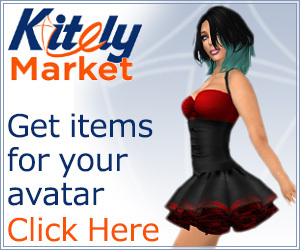 The Second Life Marketplace doesn’t need to be limited to Second Life. Right now, there is no viable multi-grid content marketplace for OpenSim, though Kitely Market is expected to open up to other grids in the next few weeks. But even if it does, the Second Life Marketplace would still overshadow it in terms of the amount of content available, even if only a fraction of merchants opt to enable the multi-grid delivery. The hypergrid isn’t a dirty word. Opening up to the hypergrid would allow users to have their homes on cheap OpenSim grids while teleporting to Second Life for shopping and events. Simply create a fourth “export” permission — which is already present in the latest OpenSim viewers — set all existing content to “no export” by default, and allow merchants to sell exportable goods for customers who want to take their purchases to other grids. Kitely is already doing this, and Avination is expected to do the same soon, as well. All these residents will need new stuff to outfit their new homes, school and companies will need content to furnish their facilities. Linden dollars don’t have to be limited to Second Life either. Although the OMC virtual currency from Virwox has been gaining ground recently in OpenSim, and a competing currency is in the works, it’s still very early days for hypergrid commerce. Linden Lab has the opportunity to become the PayPal of the metaverse. Plus, this would encourage customers to rent their OpenSim land from Linden Lab, since the payments could be instantaneous and seamless, like they are in Second Life, instead of having to go through a second Web-based confirmation step for security, as they would have to when on grids operated by third parties. Imagine if AOL had embraced the Web sooner than it did. AOL would have had the chance to become Yahoo!, to become Amazon, to become Google, to become PayPal, to become eBay, to become Hotmail and Geocities and Blogger. Not saying that it would have, but it at least would have had the chance. But I guess AOL didn’t think that the Web would grow the way it did, or that it provided a more compelling experience. And, sure, AOL did have a lot of stuff all in one place — it had shopping, search, email, instant messaging, forums, news, sports. No one other site comes close, not even today. By thinking of itself as a product, and comparing itself to individual alternatives, AOL missed the opportunity. Today, no single OpenSim grid comes anywhere near close to matching the community and content of Second Life. But that’s not the correct metric. Look at it as an ecosystem of public grids, private grids, home-based mini-grids, hosting companies, currency exchanges, and other third-party service providers. That’s where the growth is, and that’s where the opportunity lies. Is Linden Lab prepared for new kinds of competitors? The ecosystem surrounding the Oculus Rift and similar devices is expanding dramatically, with millions in venture capital financing, record-breaking Kickstarters and CES Best-of-Show awards. Valve just announced an Oculus Rift-compatible virtual reality mode for its popular Steam video game platform, and Utherverse, best known for its adult-only virtual world, announced plans to release a Rift-compable virtual world platform this summer. The non-gaming applications for the Oculus Rift are expanding as well. Ford uses it for automotive design, NASA to control a robot arm and to let people take a virtual walk on Mars. The U.S. Navy is using it for Project BlueShark. ArchVirtual uses it to preview architectural projects. There are numerous medical and psychological applications of this technology as well, including for vision therapy, treating PTSD, virtual simulations for training health care practitioners, treating phobias, and training amputees to use prosthetics. Right now, most of these applications are built on top of Unity and other professional 3D development engines, probably because right now, only development kit versions of the Oculus Rift are available. As the Oculus Rift gets into consumer hands and as prices drop and competitors appear, the technology will become more mainstream and more people will be interested in creating their own virtual environments, both for personal and business use. The company or group first out of the gate stands a good chance of becoming the de-facto standard for virtual worlds. It could be Apple or Microsoft with a proprietary platform, or Google with an open one, or an out-of-left-field startup with something else entirely. By teaming up with OpenSim, Linden Lab has the opportunity to make its approach to the metaverse the dominant one. A choice of viewers, multiple hosting options at all price levels, free do-it-yourself software, brand-name recognition, both proprietary and open source server software and a ready-made universe of worlds to explore would make the Second Life-OpenSim metaverse a tough combo to beat. And Linden Lab, as the leading company in the space, a force to be reckoned with.